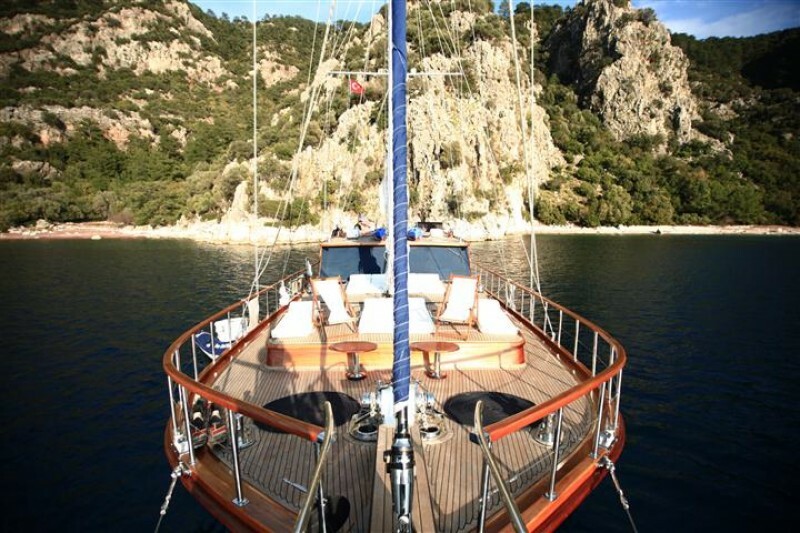 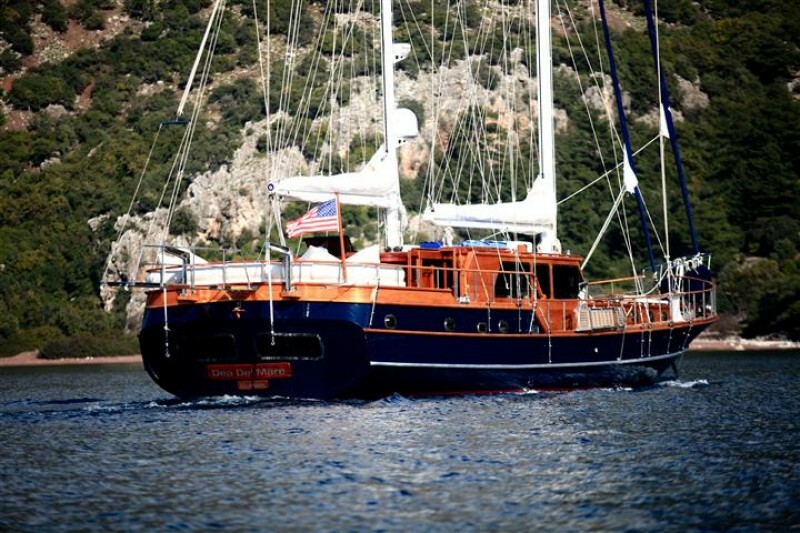 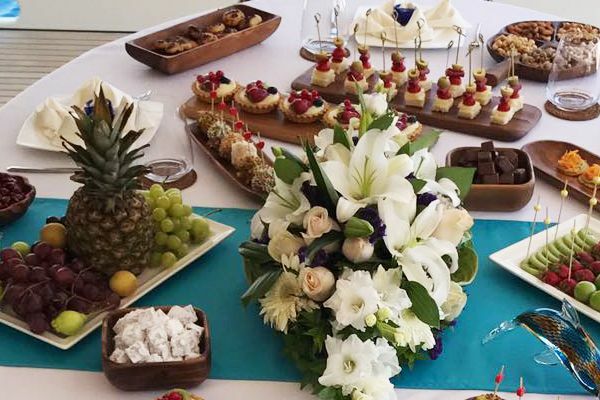 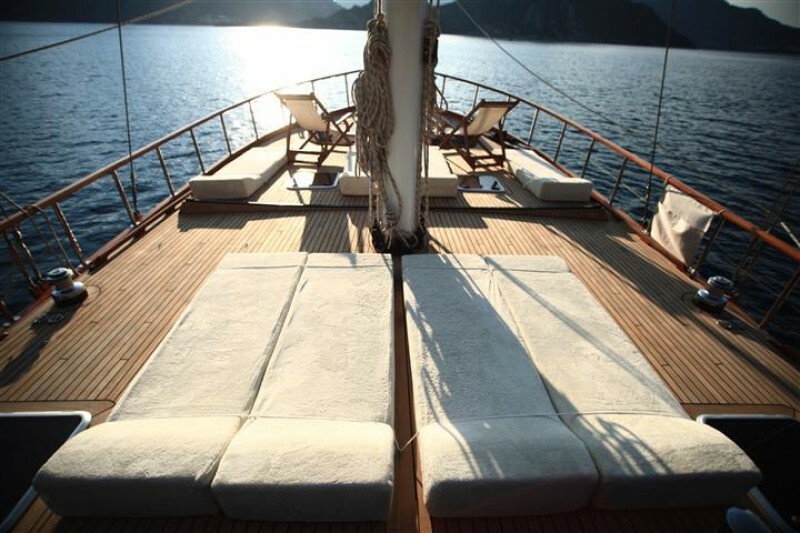 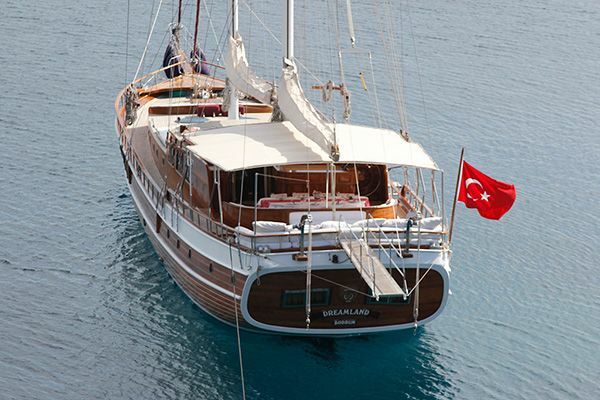 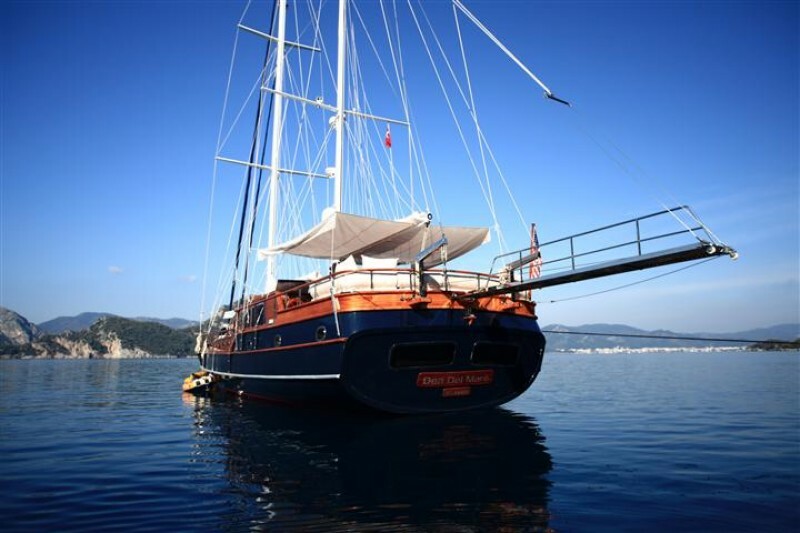 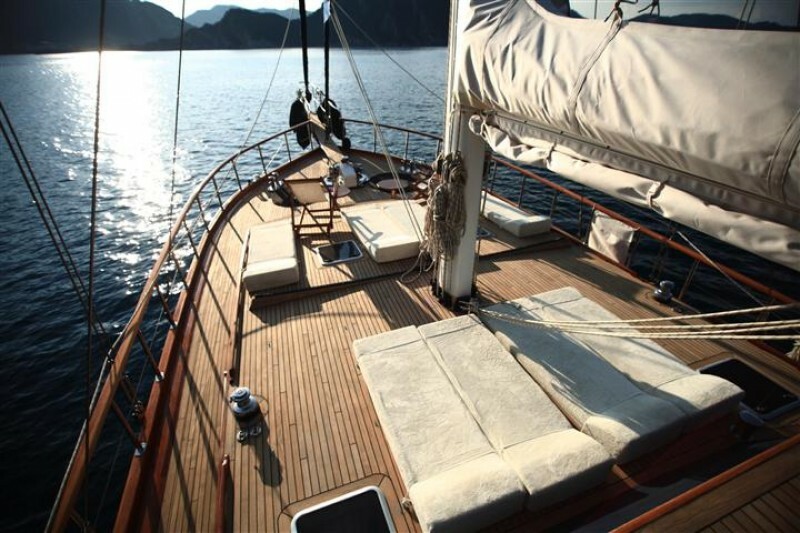 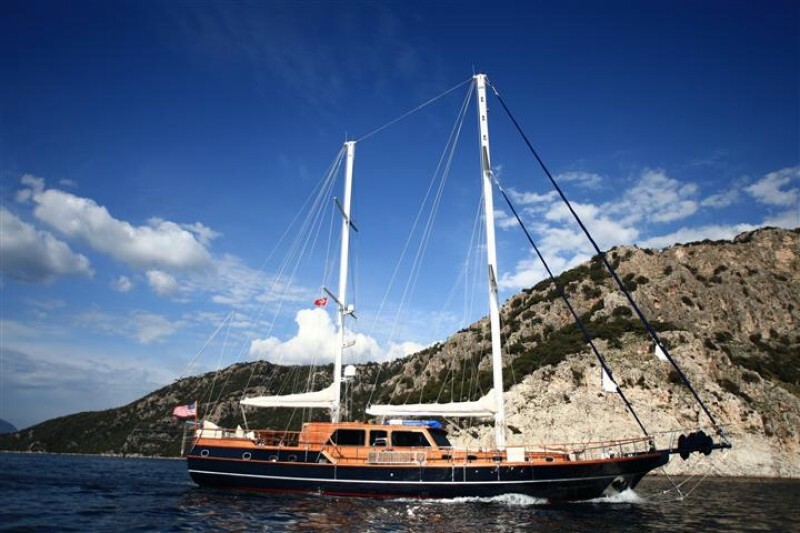 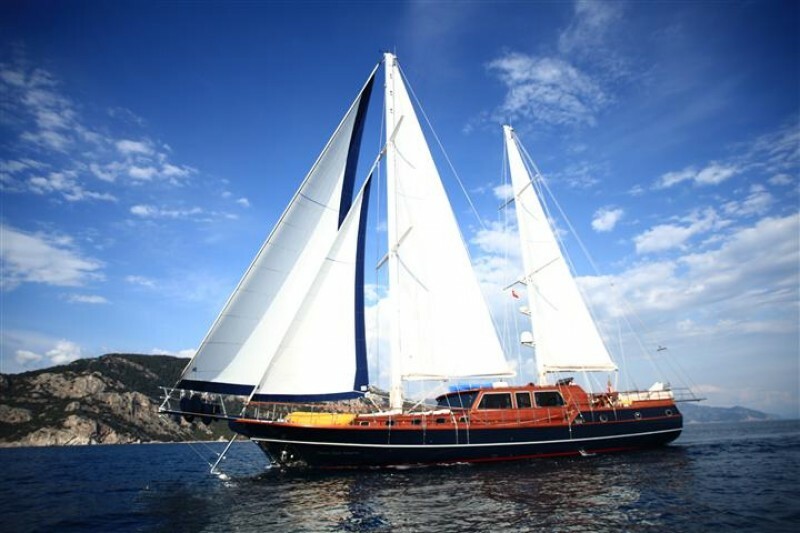 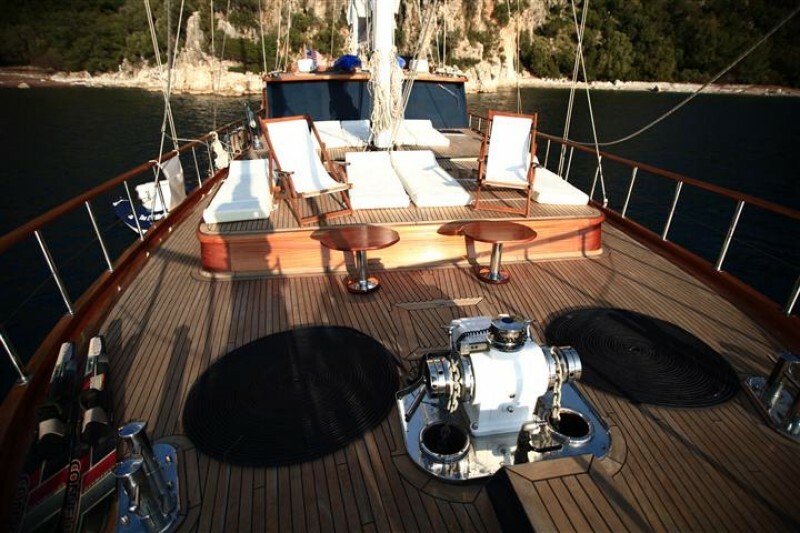 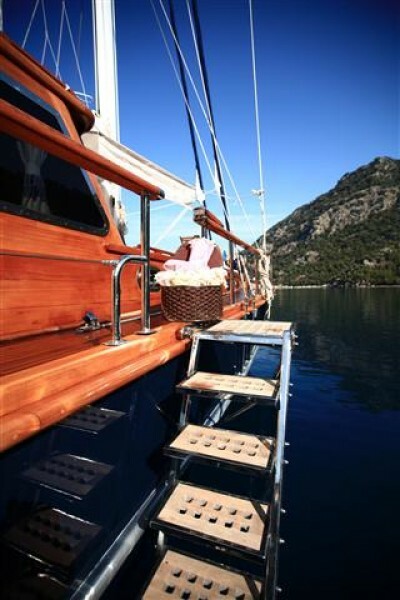 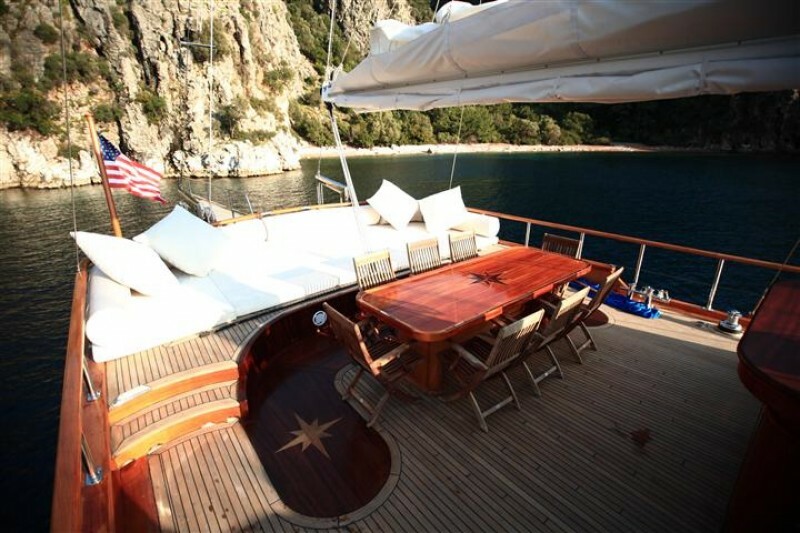 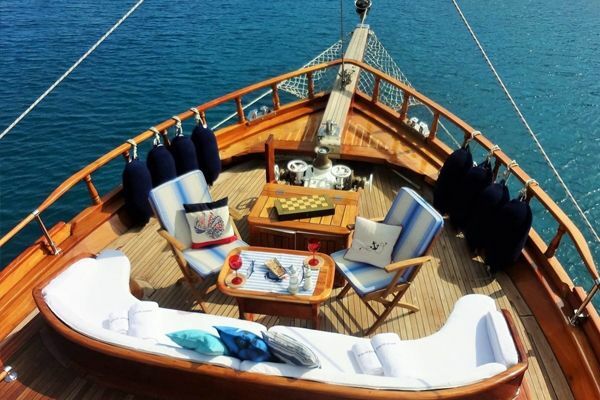 Gulet Dea Delmare is a Deluxe Class Gulet based in Bodrum Turkey. 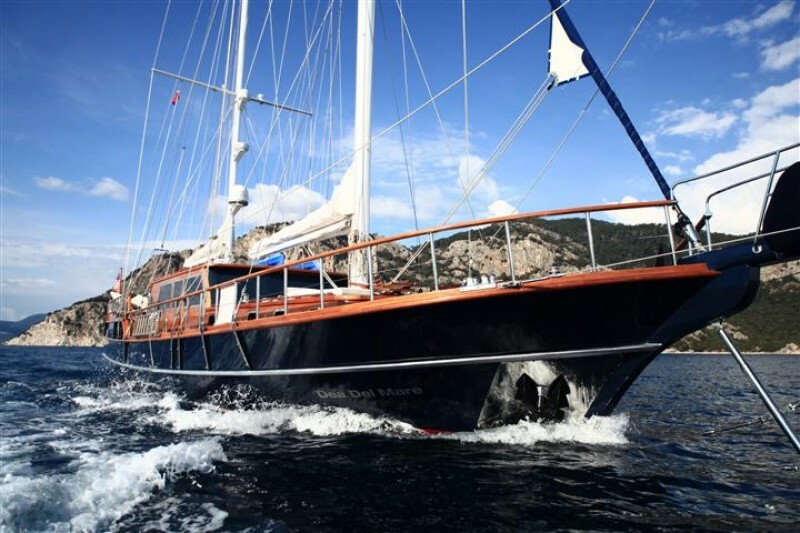 The distinctive blue and natural wooden hull of the modern motor sailer gulet Dea Delmare is just the first hint of how beautifully styled this delightful Deluxe sailing gulet. 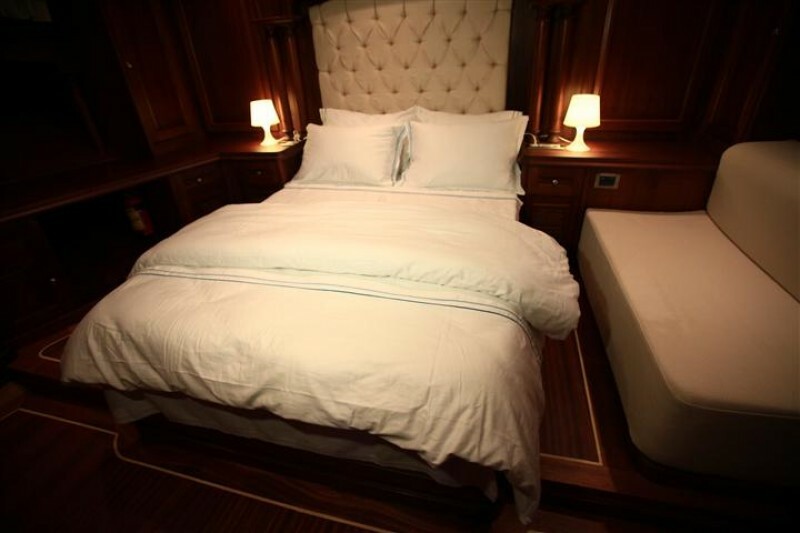 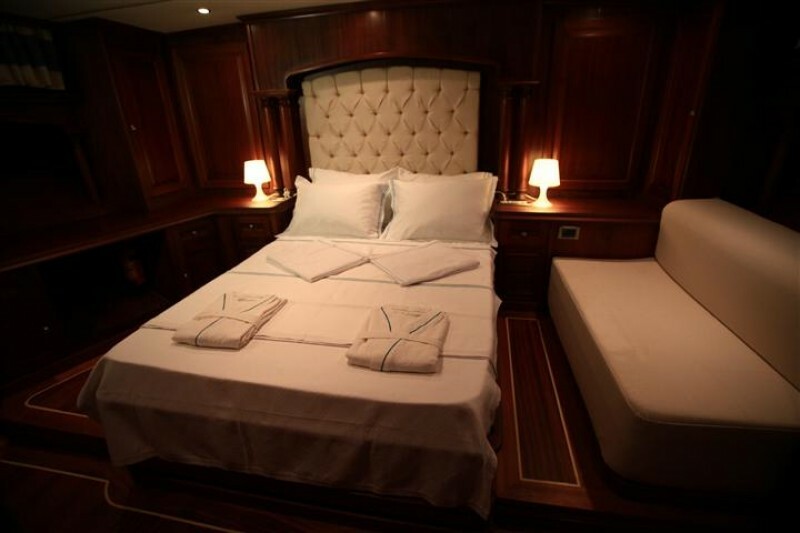 Professionally captain , the welcoming leader of a very hospitable competent crew including the chef who produces amazing food from a small but very well equipped galley, the Dea Delmare offers comfort, excellent service, and all in very well presented nautical setting. 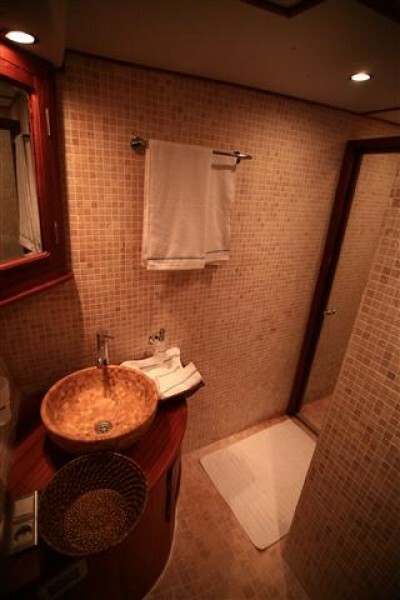 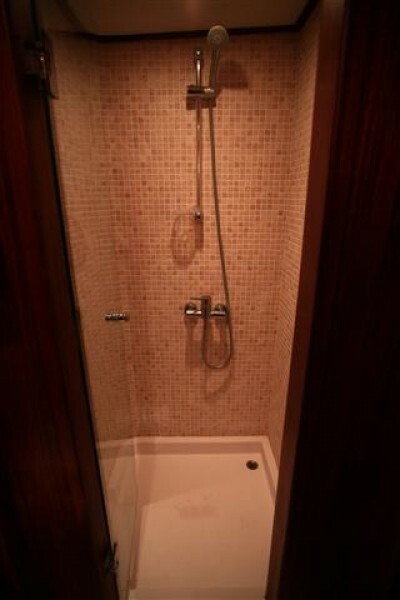 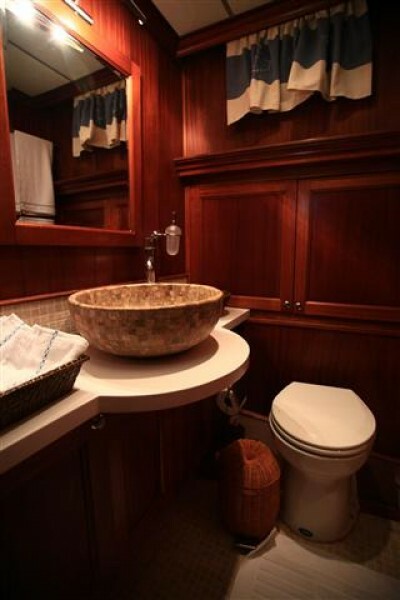 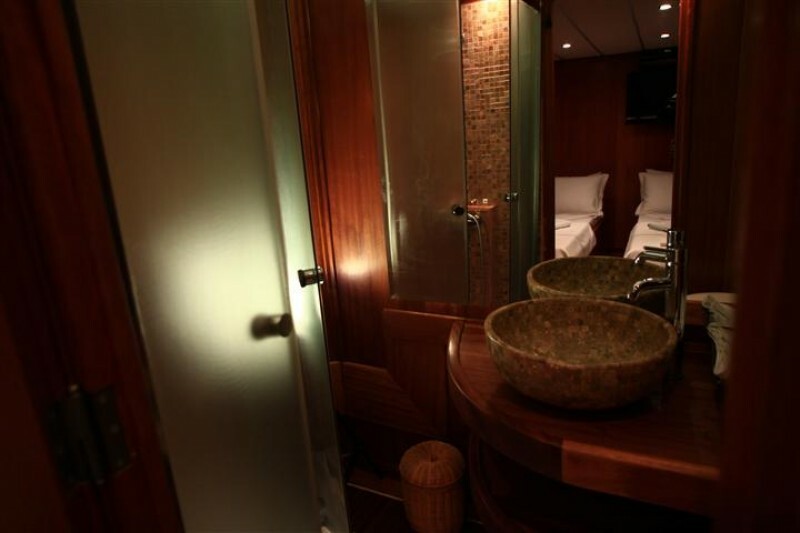 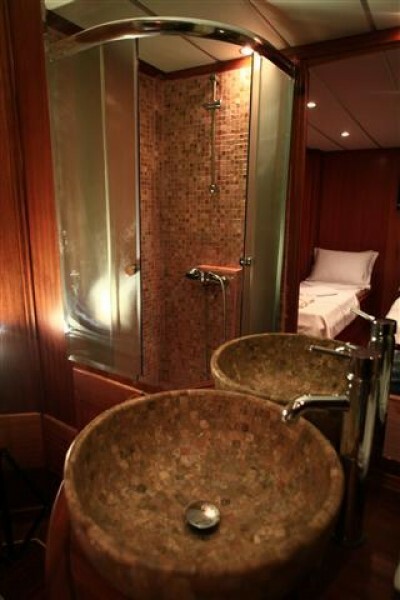 The interior is entirely finished in fine timber panelling even beside the natural stone tiles in the well- appointed en-suite bathrooms of each of the five cabins, while light floods the forward cabins from the skylights. 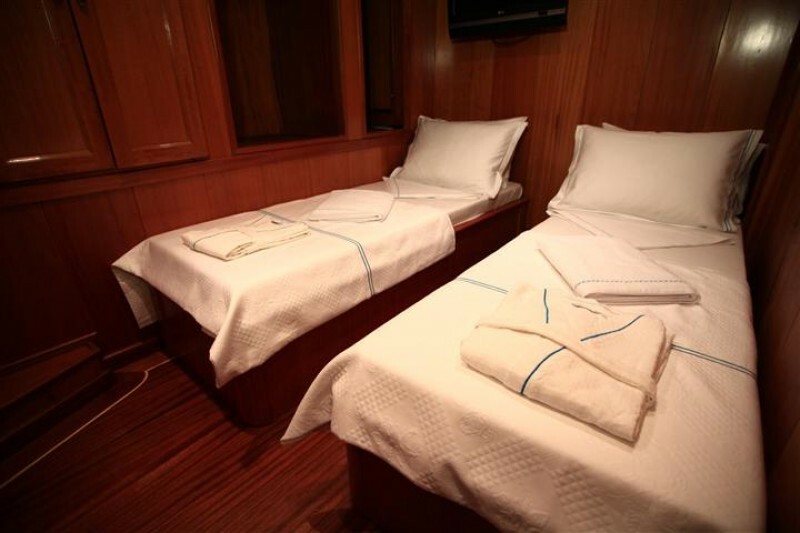 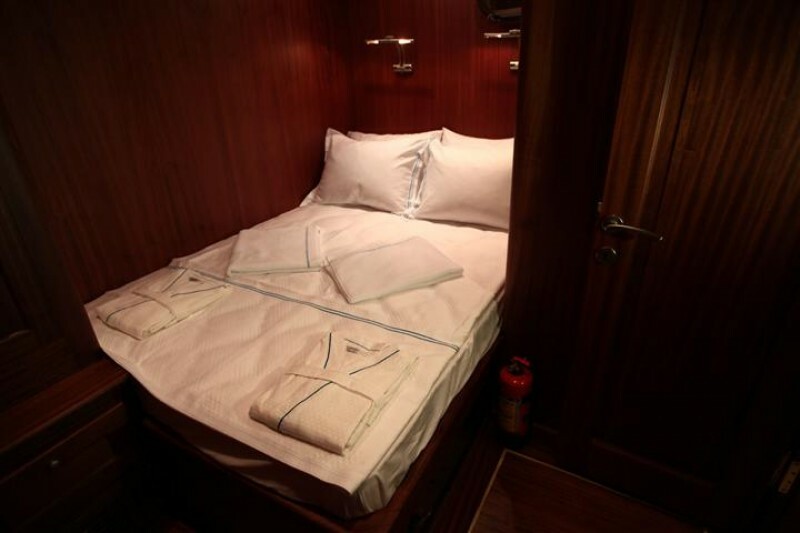 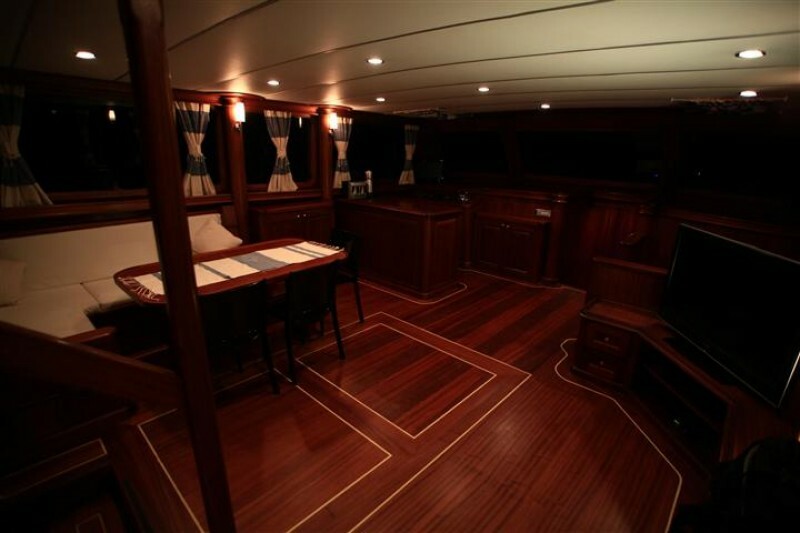 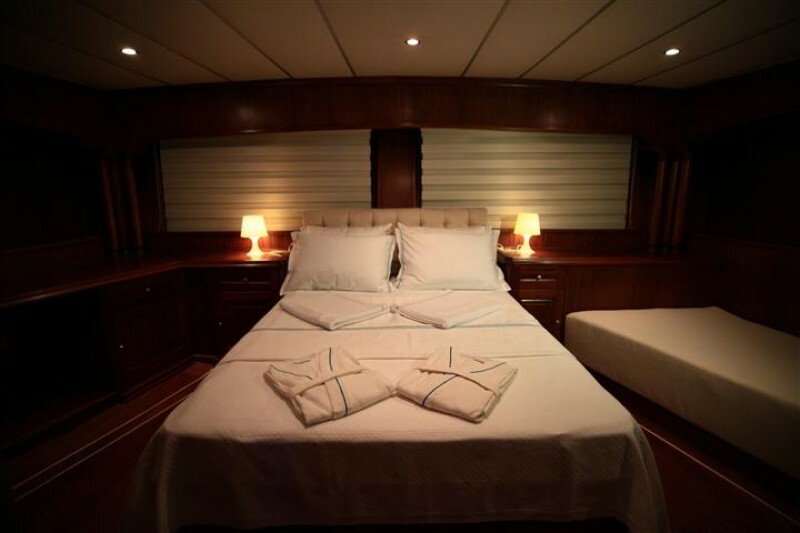 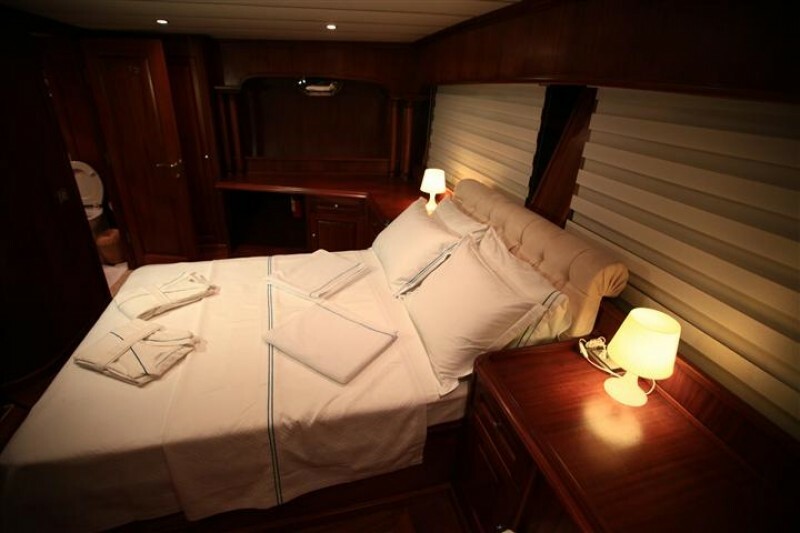 The two master cabins, one forward and one at the stern enjoy the space afforded by the full beam width of the gulet, while the two double cabins and the twin bed cabin have an excellent arrangement of space and storage. 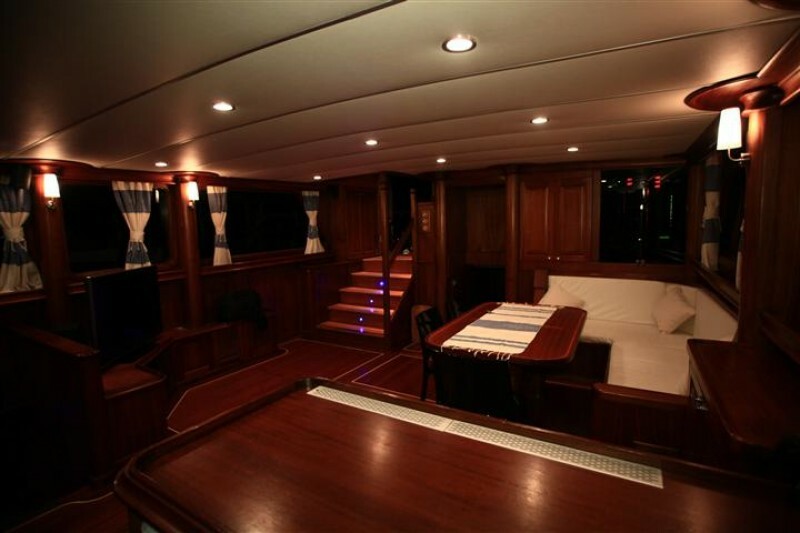 Up in the saloon, comfortable bench seating allows for relaxation or indoor dining, with large TV, DVD, music and internet available for entertainment. 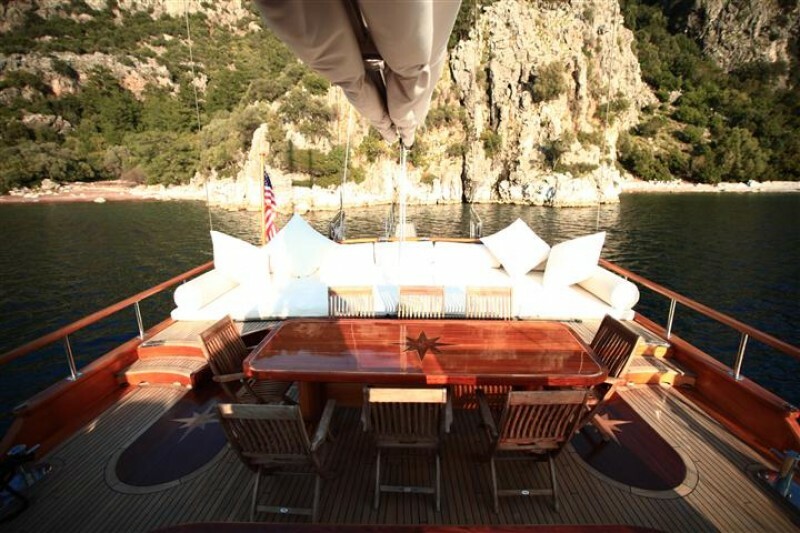 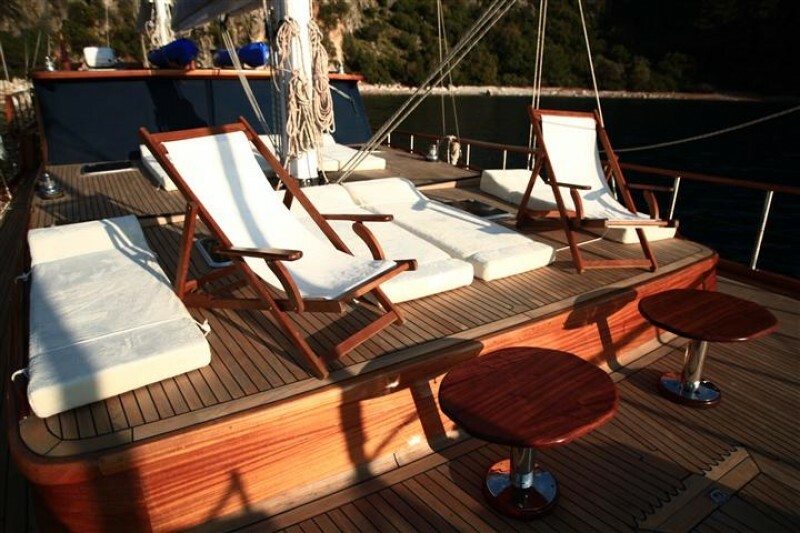 On deck the Dea Delmare offers the classic gulet outdoor full dining table and chairs for long al fresco meals, the very generous almost bed-length bank of inviting cushions across the wide stern, and the personal sunbeds with towels on the foredeck. 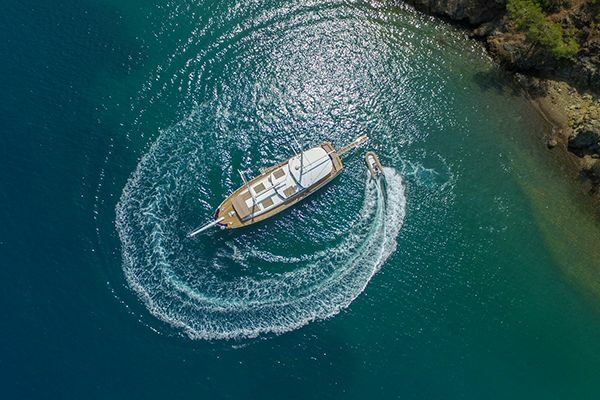 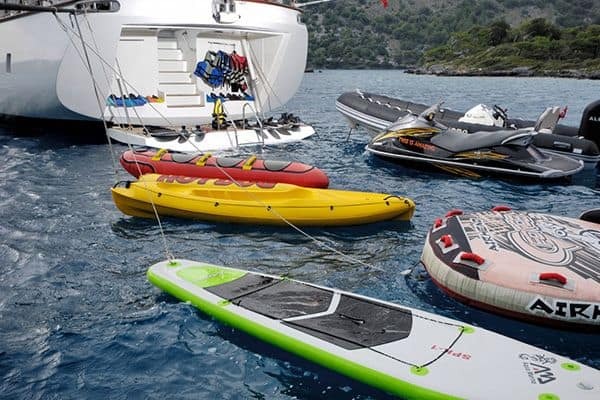 The Dea Delmare is very well-equipped with water toys for the active guests aboard. 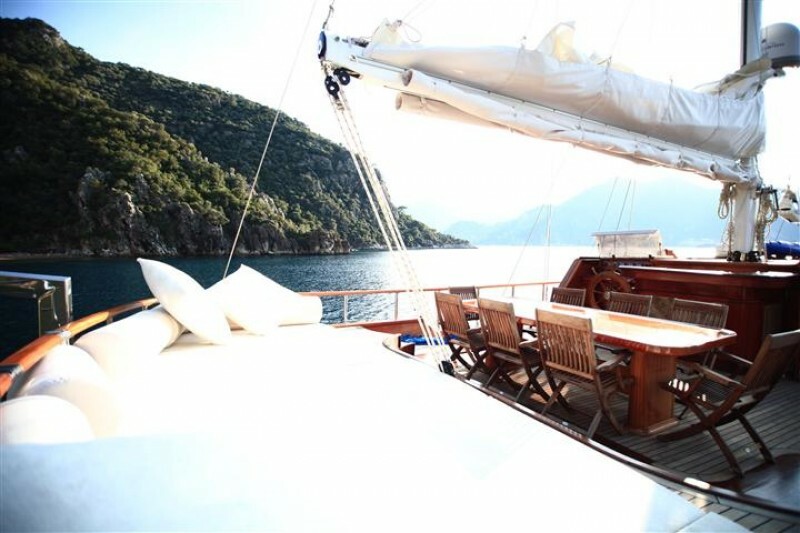 The crew on Dea Del Mare luxury gulet offer excellent meals, drinks service, cleaning, and open the sails: all they can for the guests to enjoy themselves on a memorable cruise on a gulet offering excellent value for a luxurious experience along the Turkish coast or into the Greek Dodecanese Islands.